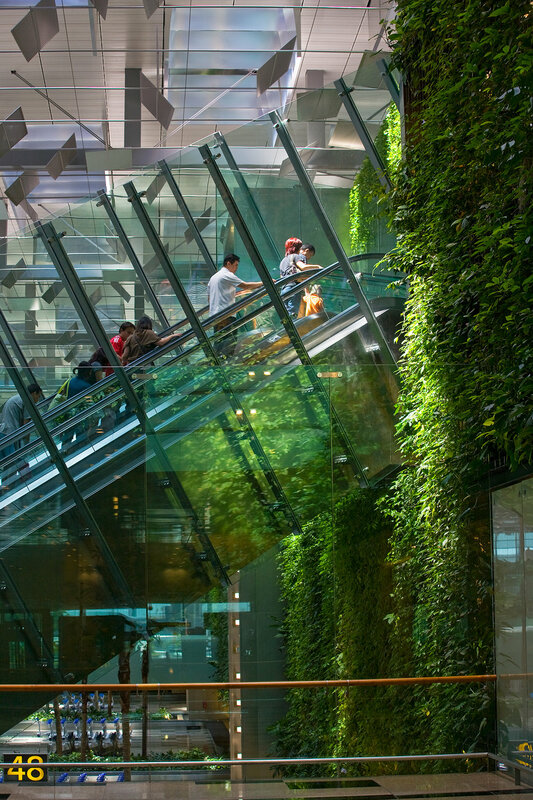 Designed in response to a world-wide competition the concept for Changi Airport’s Terminal 3 was built around Singapore’s commitment to being a “City within a Garden”. 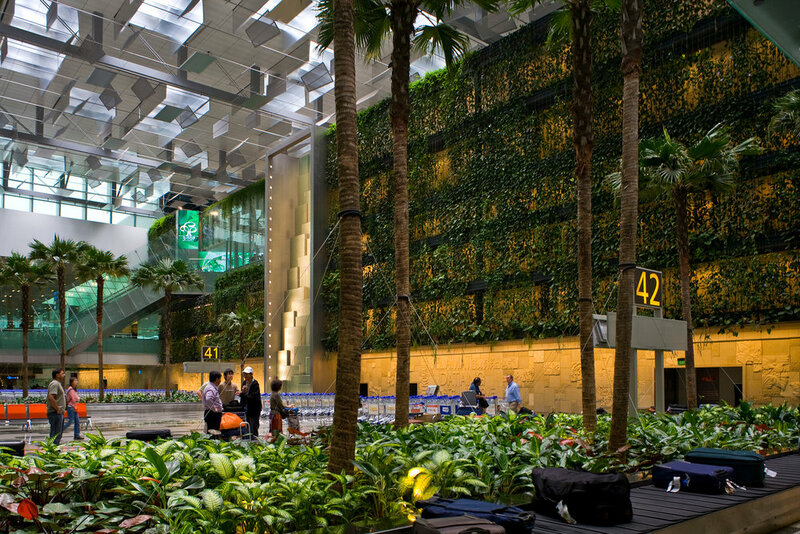 The emphasis on conserving floor space and moving the gardens to the wall made the terminal and the airport first of its kind in Singapore, or anywhere in the world. 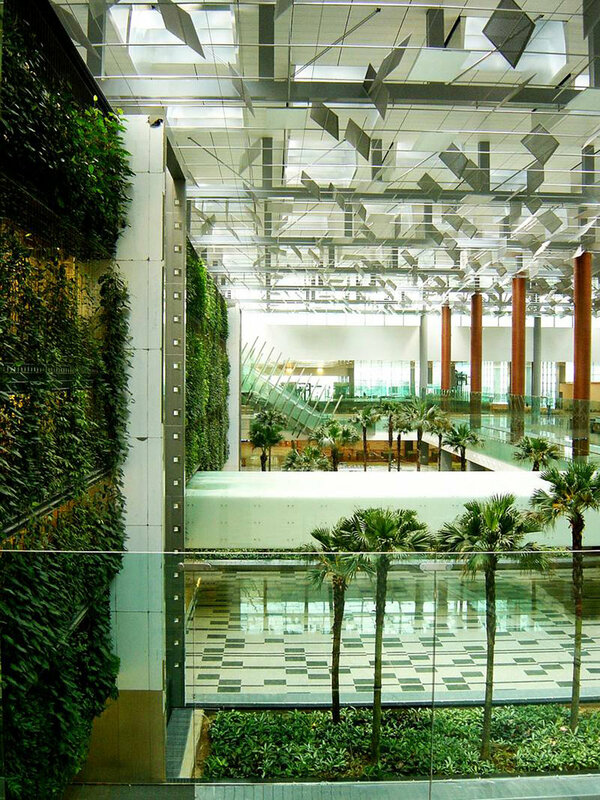 This five-storey-high garden of vines and epiphytes hangs down an area over three football fields in length. In between, water glides gracefully down 20m-high laminated walls of shredded glass and stainless steel. More than 10,000 tropical plans are showcased across the green wall tapestry. Catwalks carefully hidden away allow for easy and safe maintenance of the plants.